I am so excited to be able to share with you this fantastic opportunity coming up in August. 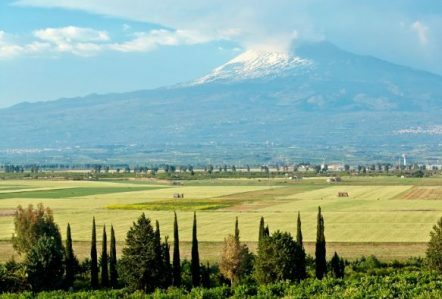 I have joined forces with Mike McKone and Marina Thomas of Sicily Active Holidays to bring you a week of not only relaxation, enjoyment of the the stunning views of Sicily that overlook the slopes of Mount Etna, yoga and mindfulness but Pilates with me as well. It’s only £1195 per person, and if you consider that that includes your fresh, local food & wine for the week, your luxury accommodation, daily Yoga, Pilates & Meditation, and on top of that use of the tennis courts and sauna, it’s really is a fantastic deal. There is a maximum capacity of 16 people so it really will feel like a lovely, friendly, fun and relaxing get away. Flights and transfers aren’t included, however, but we can arrange transfers for you upon request. Massage and beauty treatments also available for that extra treat. How many holidays can you go on and come back feeling nourished, toned, relaxed and fulfilled? All that expertly guided movement practice and exercise alongside the best Mediterranean food really is a treat for the body and soul. Please email to reserve your place.